Earlier this month, a committee of scientists and experts advising the US Food and Drug Administration voted unanimously in favour of approving the gene therapy used to treat or a rare form of blindness Leber congenital amaurosis (LCA), which is being developed by Spark Therapeutics, a biotech group based in Philadelphia. Drugs are designed to fight illnesses by cajoling the body, opening up one biological pathway or closing down another. 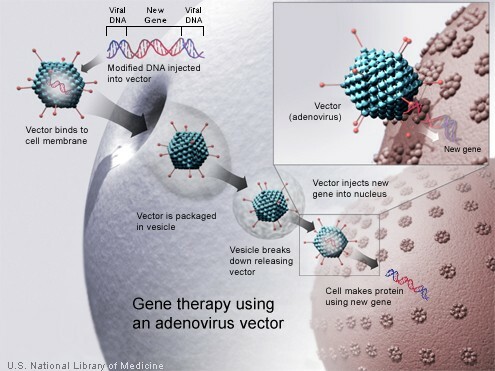 Gene therapy takes a different approach, replacing the faulty or missing DNA that is causing the disease in the first place and helping the body fix itself. Because it tackles the illness at its biological root, it could offer a one-time treatment for an array of genetically driven conditions that have either had poor options or none at all, from haemophilia and Parkinson’s to Huntington’s disease, cystic fibrosis and myriad rare diseases. It opens up the possibility of that thing still so elusive in modern medicine: a cure. The biggest obstacle to widespread adoption of gene therapies. Healthcare systems are not set up to pay for one-off treatments that are expected to cost more than $1m per patient in many cases. "The issue is going to be figuring out how you structure payment for a one-time upfront therapy that's going to be very expensive," explains Dr Michel Sadelain, an expert in gene therapy at Memorial Sloan Kettering Cancer Center in New York, adding that while gene therapies could cut health spending in the long run, the savings will only be felt down the line.